Startup Laurier, Wilfrid Laurier University’s entrepreneurship club on the Waterloo campus, held its eighth annual Entrepreneur Exchange last week on Friday, Feb. 1 at the Vidyard in Kitchener. The event, an evening of networking, workshops and speakers, provided all Laurier students, as well as students from the University of Waterloo, with the opportunity to get acquainted with the career option of entrepreneurship, engage with professionals and develop some essential business skills. 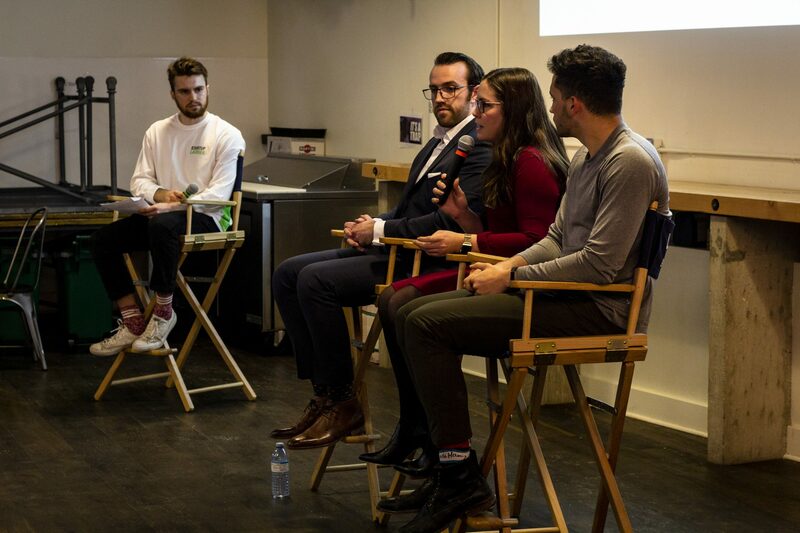 “What we look to do is inspire students … and give them any resources or support that they may need to be able to take that next step and actually take on their entrepreneurial journey,” said Lauren DeSouza, co-president of the Lazaridis Students’ Society club Startup Laurier. The event featured a keynote panel, including presentations from Scott Douglas Clary, member of Forbes’ Business Development Council and head of marketing and business development at Bedrock Affect, Harp Gahunia, vice-president of venture studio operations at TribalScale and Laurier alumni Mallory McKewen, president and founder of BridesMade. “In the past, they’ve been $20 and the reason we lowered it this year was because … our ultimate goal should be providing value to the students that are coming out,” Binks-Collier said. “We were originally going for a larger keynote, but then as we got closer to the event, what started making more sense to us was that a big keynote can be extremely valuable, but having a person from each stage of the start-up cycle was most important,” said Charles Binks-Collier, Startup Laurier co-president. Workshops that ran at the event included “The Perfect Discovery Call,” “Making the Leap from Student to Entrepreneur” and “Minimum Viable Product,” which were run by local business professionals eager to share their knowledge and skills with students. Tickets for the event were sold for $10 to Laurier and University of Waterloo students — a discounted price from previous years.